Lock in a great price for The Bluehostel – rated 9.2 by recent guests! Location was amazing - we were able to walk from Termini directly to the hostel in about 10 mins. 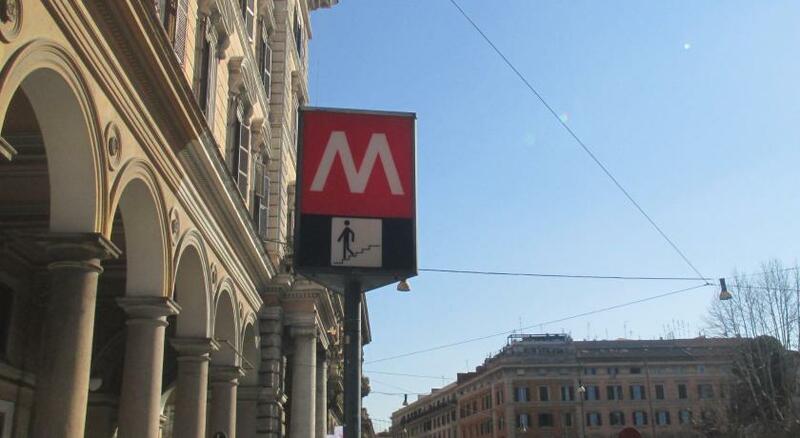 There are metro stations surrounding the location too, so you are able to get around the city very easily. The staff was amazingly helpful and had some AMAZING recommendations for food in the area. I loved how it was in a converted convent! We had a lovely time and are counting down the days to when we can come back. Overall it was a great hotel. Good location, good bed, exceptionally clean, good water pressure, and an air conditioner. Had a pleasant stay at the Blue Hostel. 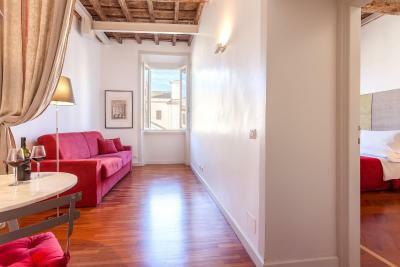 The apartment was spacious and clean and only a few minutes away from Roma Termini. We even made it to the Colosseum and the city centre on foot. The staff is kind and helpful and their recommendations are worth trying. Thank you guys! Central location, helpful staff. Compact clean rooms. Room was gorgeous. Cleanest hostel my friend & I stayed in our whole trip! Very clean! Old building but well maintained. Had a great night and slept very well as the bed was so comfortable. Like the room so much and really wish I could stay one more night. Quite close to a metro station which is one station away from Rome Termini. Staff very friendly, warm-hearted, reliable and easy to reach through bookings phone call and iMessage. Steps only and on lift but okay for people without too heavy luggage, also with disabled accessible devices. 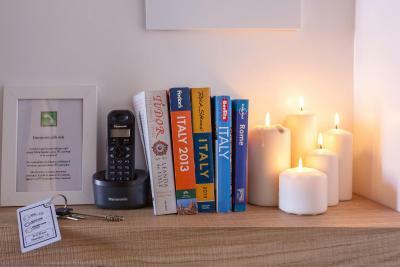 Preferably to stay at Blue Hostel again the next time we visit Rome. Location brilliant. Andrea was brilliant and very helpful, we did whats app him and he replied very quickly when we needed advice. Loved the original ceiling and shutters on window. Map was helpful. Bathroom very clean, good amount of pillows! Very quiet. Glass water bottles in fridge which was very nice touch and free as the tap water is good to drink. Partner loved the coffee machine in the room. Very lovely old building. Refurbished but still keep the old door and windows especially the ceiling. Clean and comfortable. 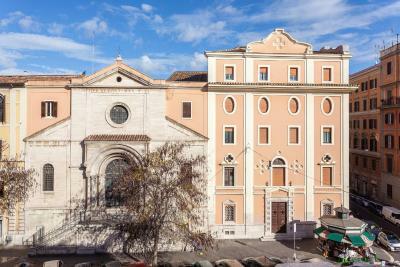 Great location just 5 minutes from termini by foot . Easy to go everywhere. 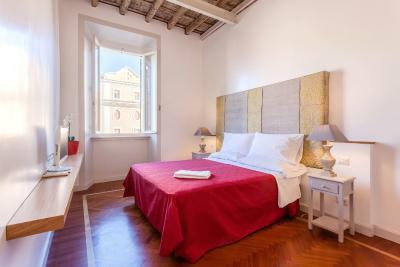 The hospitality, clean, daily taken care of the room, very close to Termini Station and city center, near supermarket. 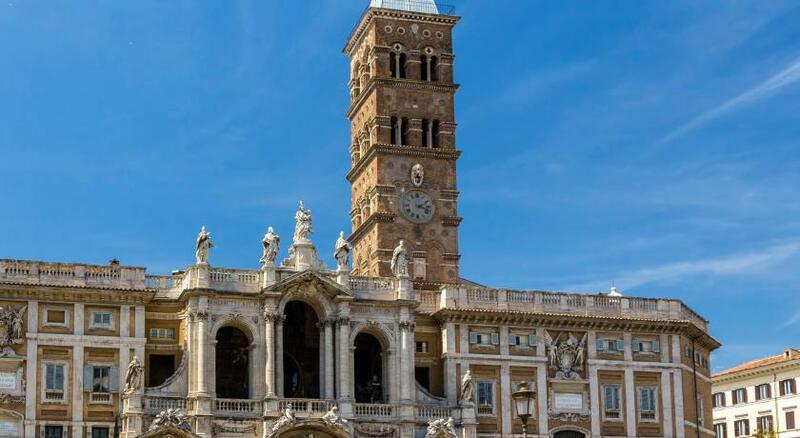 Offering a central location and great transport connections, The Bluehostel is housed in a 17th-century convent located 350 feet from Santa Maria Maggiore Basilica. All air-conditioned rooms come with free Wi-Fi. 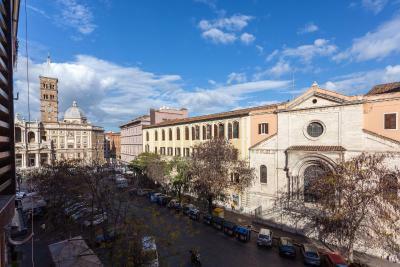 Termini Train Station is a 5-minute walk from Bluehostel. From here, you can walk to the Colosseum in 10 minutes, and reach Vatican City and Spanish Steps in under 15 minutes by Metro. Rooms have elegant furnishings and parquet floors. Each includes an LCD TV and a private bathroom complete with hairdryer. When would you like to stay at The Bluehostel? With free Wi-Fi, this elegant room has parquet floors, an LCD TV and fully equipped private bathroom. 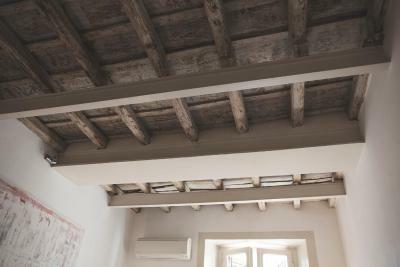 This elegant apartment features wood-beamed ceilings, and overlooks the Church of Sant' Antonio all'Esquilino. The private bathroom includes a hairdryer and free toiletries. The very old building was built over an amazing man basement. 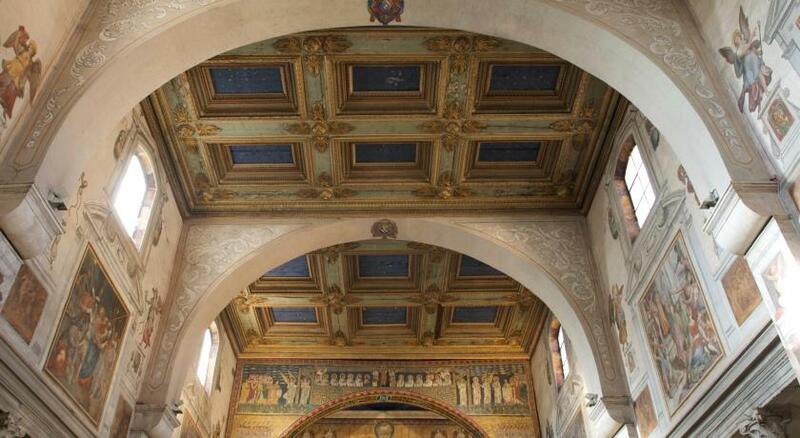 During more than two centuries it was used as a convent. The original timber are more than 200 years old. Today the building is protected by the city council for his historical importance. House Rules The Bluehostel takes special requests – add in the next step! The Bluehostel accepts these cards and reserves the right to temporarily hold an amount prior to arrival. Guests are requested to specify their arrival time as the reception is not always staffed. Please call the property if no one answers the door. When we arrived it wasn't very clear where we had to go as there are lot of other apartments in the building so perhaps need to put a sign up or write on booking.com that need to turn right up first stairs and what floor the hostel is on. I accidentally made make up mark on the bed cover, tried my best to clean it off of course (would come off in wash) but then when we collected our bags and the room had been made up for next person (assumption) the bed cover was the same as we had as the make up mark was still there so assuming this wasn't changed for next guests. Only assuming it had been made up for next guests as a new map was on the bed which wasn't there the other mornings when we had been out for the day. Honestly, everything was great about this hostel, we had no complaints. No lift. But aware before we booked the room.So it still have 10 marks. No lift-on 3rd floor but this was clear when we booked so we were aware. Easy walking distance from Termini and main attractions. Very clean and well finished but with character too. Tired, after a frazzling journey, we almost missed the modest sign identifying The Blue Hostel. Climbing the impersonal stairs, it felt more like an old style asylum, than any welcoming residence. Then we were ushered through a door, as thick and sturdy as a bank vault, into a dimly lit corridor. at the end of which were our rooms. The door opened to a beautiful, creatively designed suite, with the appealing beams, deep set windows, spilling out onto Rome's urban courtyards, with balconies availing the sweep and thrill of the domestic vista. 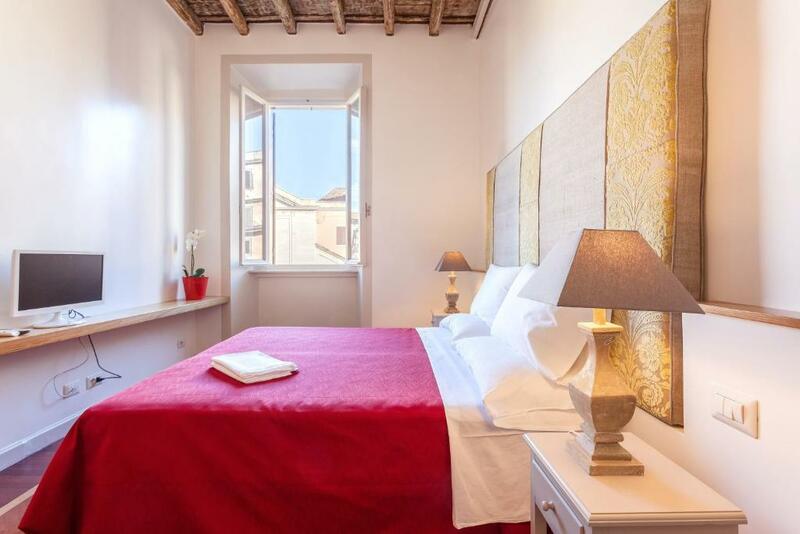 Modern, artistic, clean - with the thrill of feeling like the real authentic Italy, rather than the modern, sanitised boxed standard hotel provisions. Brilliantly located, with train station, taxis and restaurants to hand. Oh what a gem, and what a surprisingly warm and personable manager, who visited once, laden with biscuit gifts, to check that all was well, My wife's heart sank when I said we were staying in a Hostel. Having experienced The Blue Hostel, she agreed, that we could have stayed nowhere better. Great stay in Rome! Excellent value for money! We liked the surprise factor...it was more than we expected. 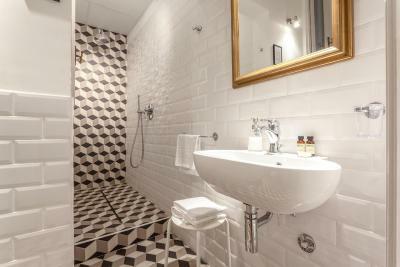 Very nice and clean bathrooms, old furniture, very kind staff, Location close to a lot of highlights of Rome! The stairs were killer especially after a day in the city. The bath towels were similar to drying with wax paper. Interestingly the hand towels were fine and of the normal sort.